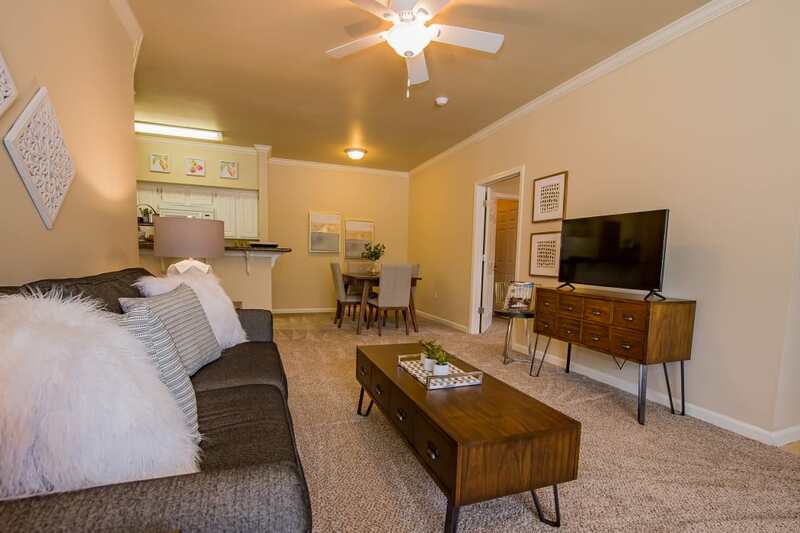 Lexington Park Apartment Homes offers one, two, and three bedroom apartments for rent in North Little Rock, AR. 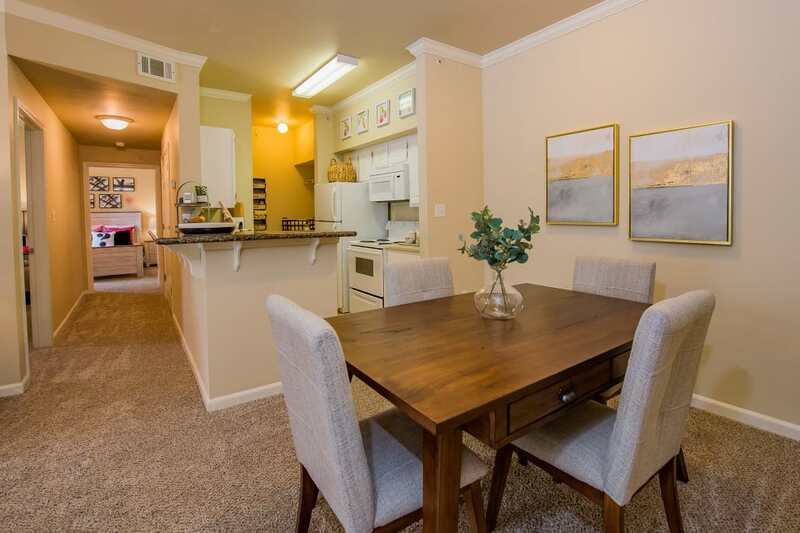 Our beautiful property is situated between the White Oak Bayou wetlands and the AR River. With three spacious floor plans to choose from ranging from 804 to 1274 square feet, you are sure to find just the right apartment to suit your lifestyle. Each of our homes feature sunrooms with tiled floors and dining areas. An in-home washer and dryer and walk-in closet help streamline laundry day so you can get on with the rest of your day. No matter which floor plan you choose, you’ll enjoy open-style living in a space that feels roomy and bright. You’ll love preparing meals in your gourmet kitchen, featuring generous cabinet space and energy-efficient appliances. A handy dishwasher ensures that your dishes are always sparkling clean, and all-white custom cabinetry gives your kitchen a sleek, modern look. Some of our homes offer kitchen upgrades like granite countertops and stainless-steel appliances. Stylish features like vaulted ceilings, crown molding, and designer ceiling fans are also available in select apartments. We’d love to give you an in-person tour of Lexington Park Apartment Homes. Select the floor plan that best suits your lifestyle, then get in touch to schedule your tour today. We look forward to showing you around your new home.